Updated at 7:00 a.m. Eastern A cellphone taken by U.S. commandos during the raid last month that killed Osama bin Laden shows contacts between Pakistan's intelligence agency and a militant group used by the al Qaeda leader "as part of his support network inside the country," according to a report in The New York Times. U.S. sources who briefed the Times said the group, Harakat-ul-Mujahedeen (HuM), was in contact with Pakistani intelligence, and may even have held meetings person-to-person. The phone which revealed the connections belonged to bin Laden's trusted courier, who inadvertently led CIA agents to his boss. Special section: The Killing of Osama bin Laden There's no indication, however, that the contacts between HuM commanders and the ISI revealed by the CIA's probe of phone records necessarily pertained to bin Laden, the story notes. 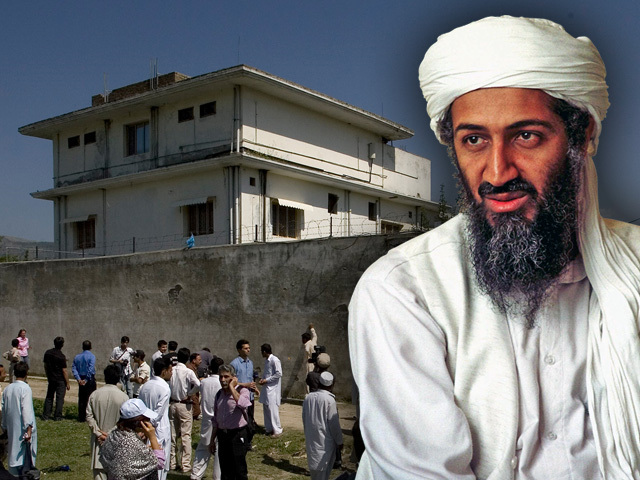 Sources told the Times there was no "smoking gun" proving Pakistan's premiere spy agency protected bin Laden as he hid for years in the compound in Abbottabad. CBS News correspondent Wyatt Andrews reports the HuM was formed in the 1980's - ostensibly by the ISI - to fight the Russian occupation in neighboring Afghanistan. In the current war on terror, however, Pakistan insists the militant group has turned on them and is now seen as an enemy. A Pakistani security official in Islamabad, speaking to CBS News' Farhan Bokhari on the condition of anonymity, dismissed the allegation that any part of Pakistan's government remains in cahoots with terrorist groups. "This is outdated information about Harakat-ul-Mujahadeen. Since militant groups began attacking the state (of Pakistan) lots of previous ties have been broken off," the official told CBS News. CBS News national security analyst Juan Zarate urges caution about drawing conclusions of a firm link between bin Laden's existence in Pakistan and the ISI, based strictly on the phone records, at least. "Calls or a connection between the ISI and HuM are not wholly remarkable, but they become more so if the courier's HuM contacts were making frequent outreach to current ISI officers," says Zarate. Regardless, the disclosure is bound to raise more questions about how much Pakistan knew about bin Laden's presence on its soil and whether it extended a protective umbrella. The topic has been another irritant in the increasingly fragile relationship between the United States and Pakistan, which was further frayed by fallout from the secret bin Laden raid in Pakistan. Pakistani officials have bridled at American suggestions they looked the other way. For U.S. investigators, seeking to learn why Pakistani authorities failed to detect bin Laden's arrival in Abbottabad, where the military has a major presence, it's another clue - and potentially a big one. "It's a serious lead," according to an unnamed American official, who spoke with the Times. "It's an avenue we're investigating." "We know the Pakistanis have sponsored some of these groups for a long time," a Western diplomat in Islamabad told Bokhari. "Whether there were active contacts between the ISI and these militant groups while they (militant groups) were in touch with OBL needs to be carefully examined. Proving this triangular relationship is not easy." Harakat-ul-Mujahedeen, which has strong support in the region, is believed to have several thousand armed supporters. The United States has designated the group, which has tight links with Pakistani intelligence, as a foreign terrorist organization. The story notes that the group's leader, Maulana Fazlur Rehman Khalil, described as having a longstanding and close relationship with bin Laden, "lives unbothered by Pakistani authorities on the outskirts of Islamabad."